Learning to walk is one of a child’s most exciting phases. While they’re toddling forward, it’s natural to lean over to offer a helping hand—or more likely, a finger for the child to grip. However, walking while bending at the waist is uncomfortable and hard on the back. 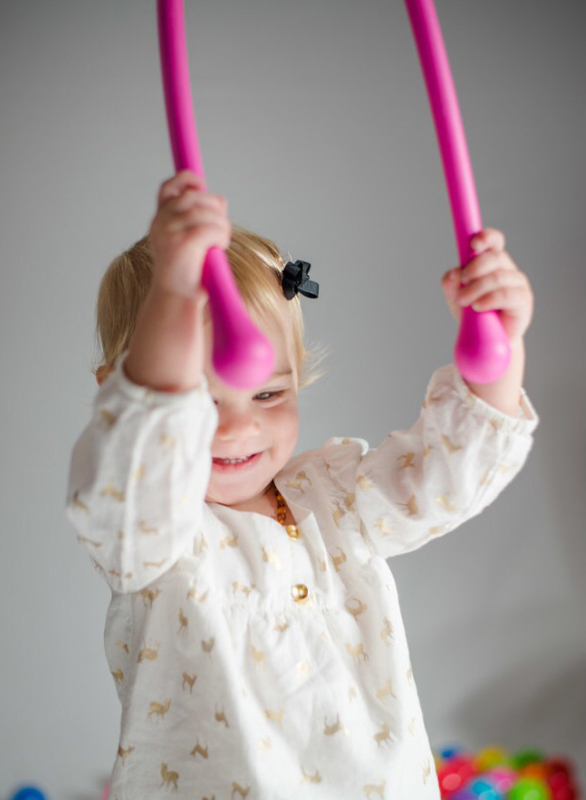 The tot2walk™ lets children direct their own development while adults provide stability—without that difficult posture. 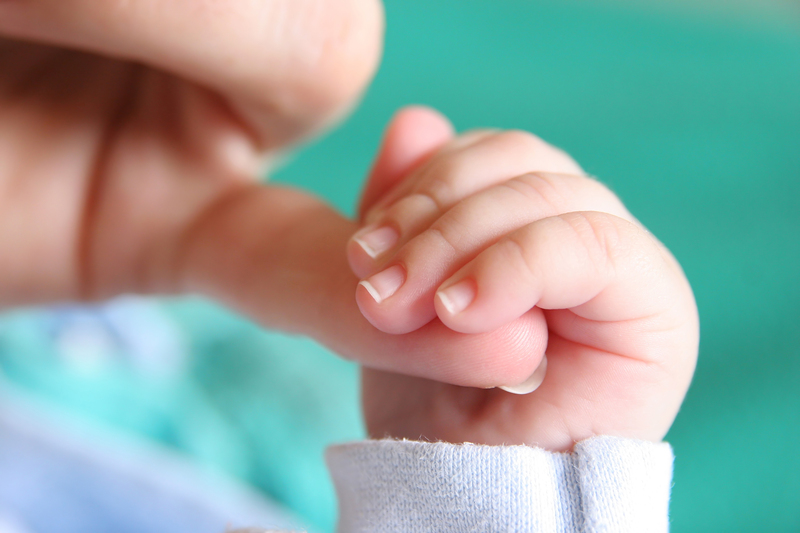 Have you ever placed your finger in an infant's hand and felt them squeeze? It’s a healthy, natural reflex. Babies love gripping the ends of the tot2walk™. 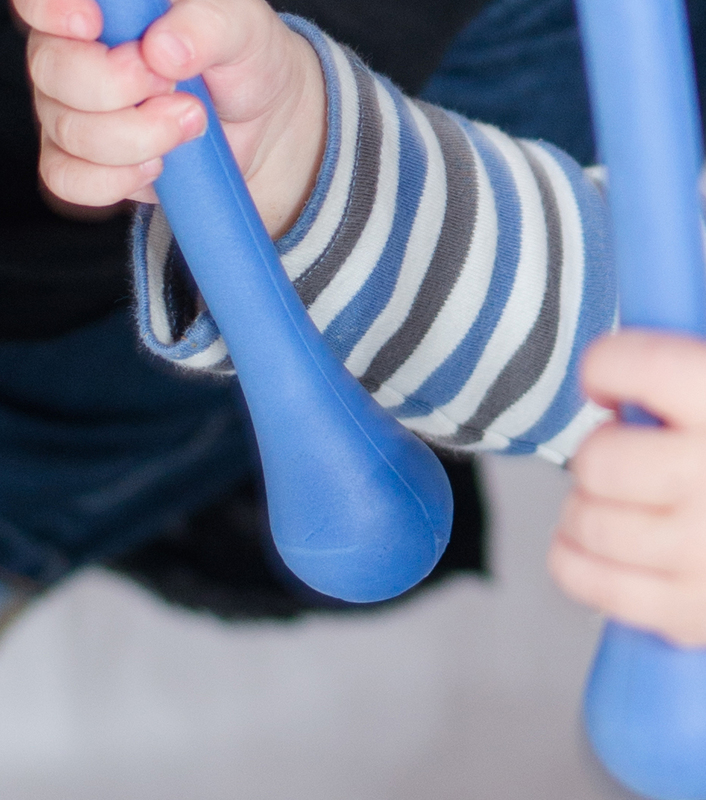 The teardrop-shaped foam handles offer a tactile experience that helps them find the best place to grab and improve their grip at the same time. The “finger-in-hand” approach encourages babies to favor one side while trying to build stability. 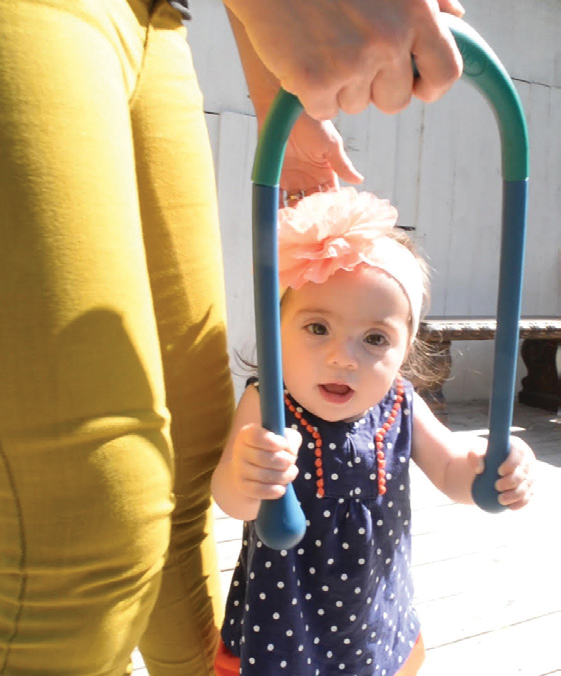 When they grip the tot2walk™ with both hands, they’re supporting their weight evenly. There is nothing like this out on the market today. 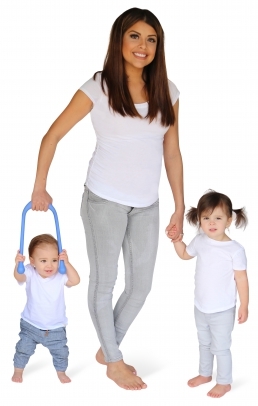 Other walking aids involve cumbersome harnesses or straps that attach to the child. These can actually hinder development because the child is not experiencing or supporting their own weight. The tot2walk™ allows the child to develop leg strength even as they are using their upper body to steady themselves, creating an increasingly confident walker. Is it Right for My Baby? Every baby has their own speed. Whether your child progresses faster or slower than average, the tot2walk™ is an effective way for them to become their own initiator, explorer and self-learner. 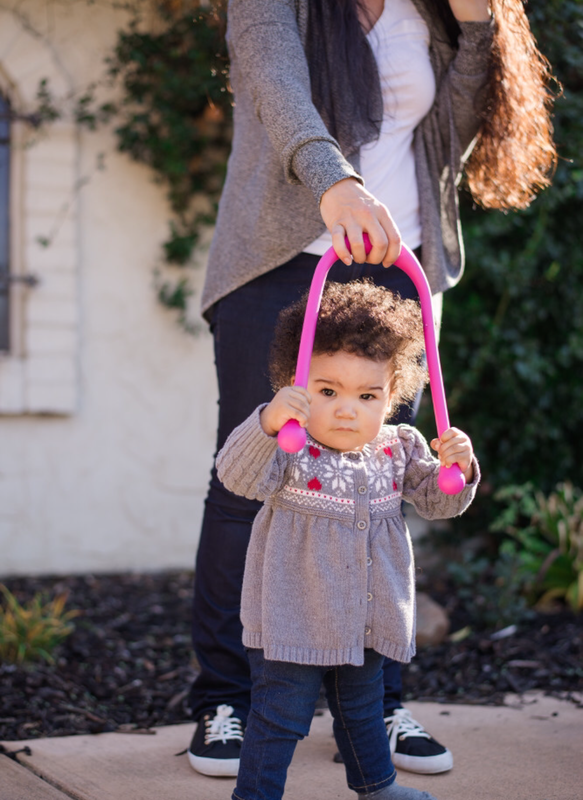 Made from XL EXTRALIGHT®—a closed-cell foam free of phthalates, heavy metals, PVC and latex— the patent pending tot2walk™ is lightweight, durable and completely safe for people of all ages. tot2walk™ conforms with all safety material requirements of ASTM F963-11. 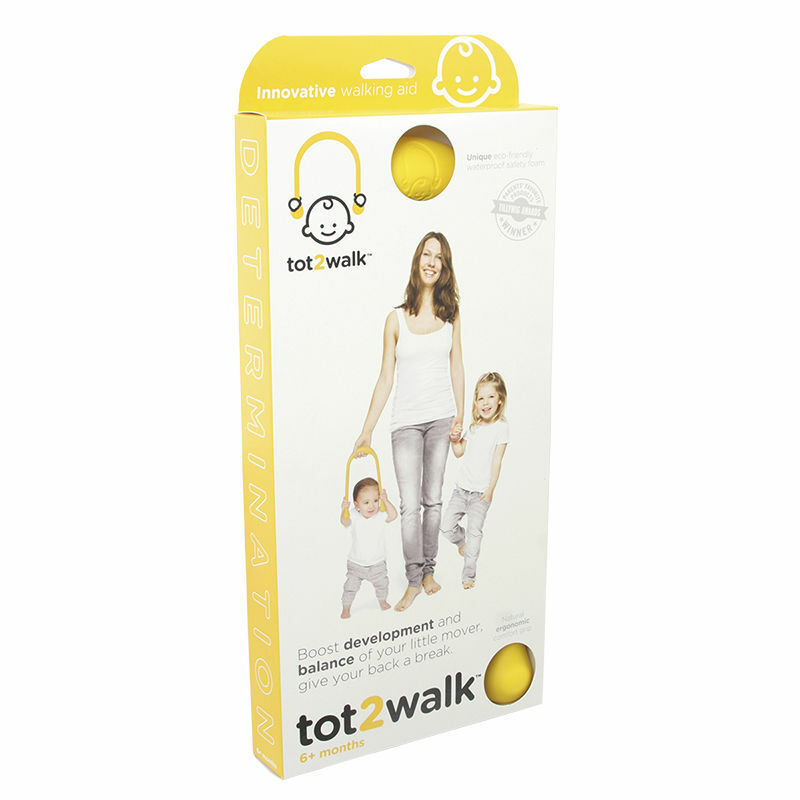 Patent Pending tot2walk™ is made in Canada and distributed in USA. 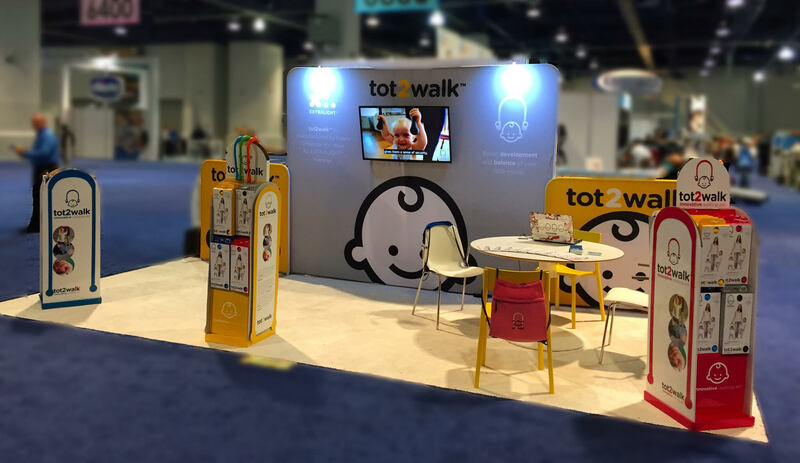 tot2walk™ is manufactured by Foam Creations Inc. from XL EXTRALIGHT® material. 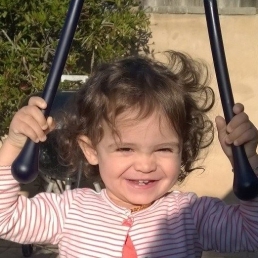 Stella, the inventors’ daughter, at 19 months. Although she is running full speed ahead, she still loves her tot2Walk™. 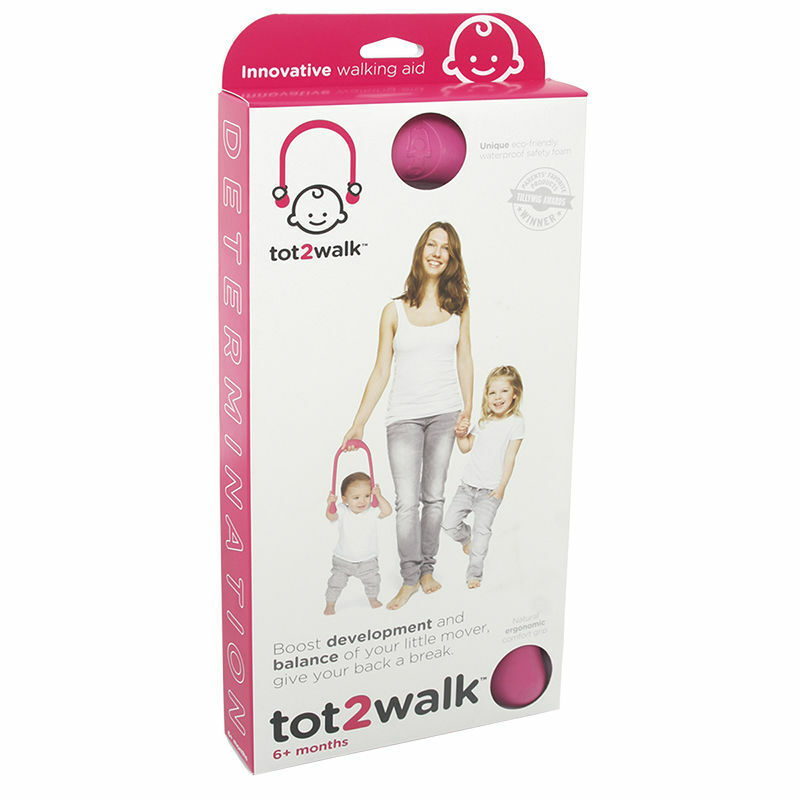 tot2walk™ is a new, innovative retail product. It represents a growing business opportunity for both retailers and distributors alike. 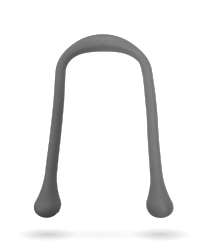 If you are interested in tot2walk™ retail products we would love to talk to you.